The topic of leadership has been at the forefront of many meetings I’ve been a part of lately. 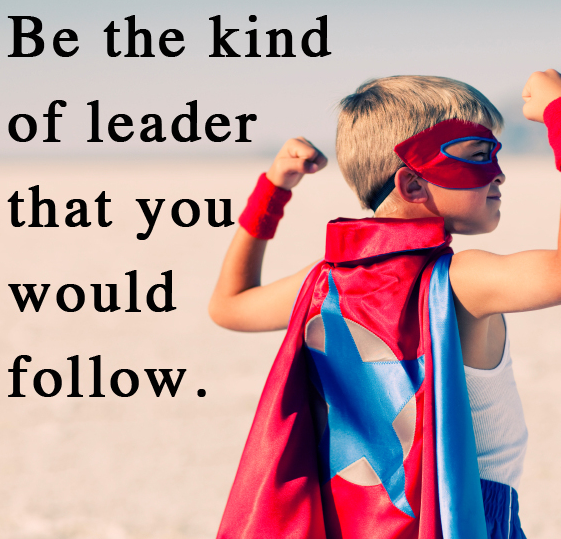 We’ve all seen leaders that we want to follow, and those we’d rather not. A good leader can motivate and inspire, and a not-so-great leader can make you want to disengage and lose passion. To an extent, leadership can be a natural talent. But not to worry, there are many ways we can all improve our leadership capacity — and become someone worth following (and be inspirational!). I was listening to a radio program the other week that piqued my interest. A successful fashion designer, Eileen Fisher, was being interviewed on her business and experience in life. She was inspirational and intriguing. After listening to her interview, I wanted to know more about her (and actually thought she’d be a cool gal to grab coffee with!). Today, when I was googling leadership advice, a past interview on Inc.com with Eileen Fisher popped up in my search results. I went through her 10 leadership tips and thought they were so relevant, and quite honestly, were the realist illustration of how I envision an ideal leader. Her advice had inspired my post this week. Please see below for top takeaways I took from her leadership tips based on her experience founding and running a $300 million fashion brand. – a leader is never alone, bring people together — think teamwork! Do any of these stand out to you? Leadership may not be for everyone, but her advice and tips resonate because they exhibit ideal personality and behavior traits. Whether you have high aspirations to be a leader one day, or just want to be a better person, Eileen’s tips are candid and spot on. I challenge you to make a list of what you believe a strong leader means and who stands out to you as an example of one (in your life or a public figure). Once you’ve created that list, make a goal of challenging yourself to step out of your comfort zone and strive to achieve those qualities. I also encourage you to start a dialogue about leadership with your family, friends and peers. Knowledge and learning about others brings you closer together. I always find when I learn more about what makes someone tick, what they value, and what inspires them, I become so much more connected to them. I also have grown and developed so much as a woman by emulating those I look up to as great leaders! A closing thought about leadership I read and felt was moving…. “Every great leader has their own dogma, a principle or set of principles laid down by an authority as incontrovertibly true. Kevin Daum, Inc. 500 entrepreneur and best-selling author, says that every successful leader–from Steve Jobs to Warren Buffet–promote a distinct philosophy. ‘Leaders must have unbending principles that guide them and their companies, or people will simply take any path that suits them. '” What do you believe in, what is your truth, what path do you want in life? If you’d like to read all of Eileen’s leadership tips, click here- http://www.inc.com/ss/10-leadership-tips-from-eileen-fisher. This entry was posted in Leadership and tagged #beinspired, #bethechange, #eileenfisher, #followtheleader, #JLLB, #leadbyexample, #leadership, #theconfidencepost, #yestoleadership. Bookmark the permalink.